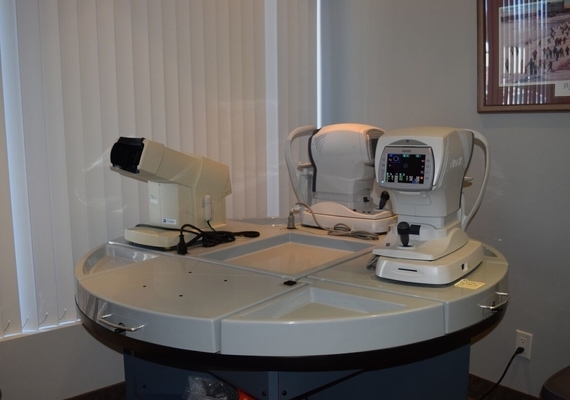 This will include the most advanced diagnostic instrumentation to assist in careful testing for glaucoma, cataracts and other health related anomalies. Visual abilities are measured for various distances and eye muscle coordination is assessed. The need for eyeglasses or contact lenses will be determined, and your doctor will then discuss all of the examination results. In some cases, further special diagnostic procedures such as photographic documentation, visual fields studies or in depth glaucoma evaluation may be required. Early diagnosis of eye disease is critical! Eyes don’t hurt so patients are often unaware that serious sight threatening conditions are present. Eye disease rarely has any symptoms in the early stages. 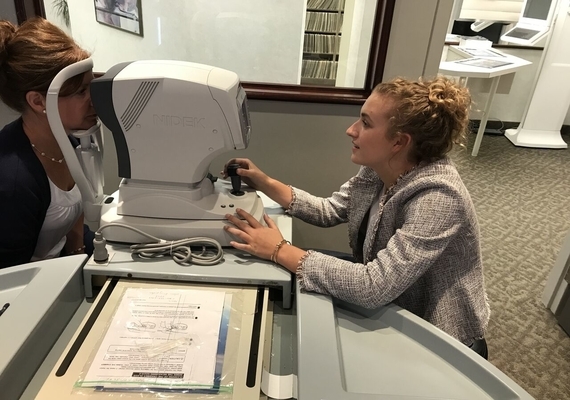 Glaucoma, cataracts, macular degeneration, hypertension, and diabetic retinopathy are only some of the reasons an annual eye examination is so important. Children need special consideration when it comes to eye exams. Your child should have their first eye exam before they turn two years old as 80% of learning is visual. As such, children need to have annual exams before they start school and every year while they are in school. We are fortunate living in Ontario in that the provincial government still covers eye exams annually for children. We provide an inviting and fun environment for your children. If your child does need glasses, our optical has a huge variety of glasses for your children to pick from, and we will ensure that your child’s first experience with glasses is positive. We also provide contacts for children with special needs or for those who are actively involved in sports. The tests described below are typical during a comprehensive eye exam. Additional investigative tests may be recommended if there are any irregularities in your eye health or vision. You will be asked about your general health, medication, working environment and more, and asked to describe any vision problems you may be experiencing. The external area of your eye and eyelids will be examined for abnormalities. The slit lamp microscope and an ophthalmoscope are used to check for abnormalities from front to back. Problems, which can be detected, include diabetes or hypertension. We recommend this test as part of your comprehensive annual eye exam. The digital retinal camera can document the appearance of your retina, optic nerve and macula aiding in timely diagnosis of eye disease. Tonometry measures the fluid pressure in both eyes, and is an important test in detecting glaucoma. Several tests are used to assess your vision these include Stereo tests, colour vision tests and amsler grid tests. We can determine the strength of your eyeglass prescription using various lenses and a retinoscope. This is done without patient feedback, and is invaluable in assessing vision problems in children and others who may not be able to read the eye chart. This test will determine your ability to see small details, both near and far. A phoropter is used to fine-tune your spectacle prescription. Lenses are systematically changed until a clear focus is obtained. We will evaluate how well your eyes function together and how well your eyes change focus from distance to near. Your eyes will be evaluated on how well you see objects that are not directly in front of you. Other tests may be undertaken to evaluate your ability to change focus, see colour correctly, or perceive depth.